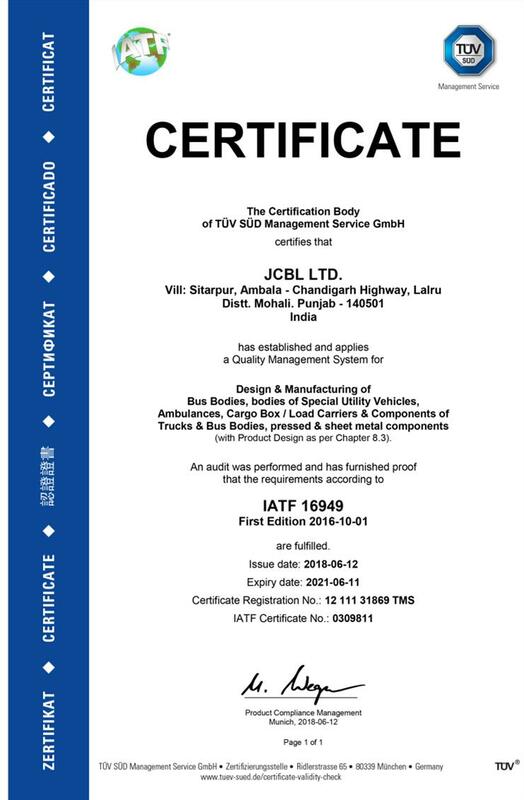 JCBL is accredited to ISO 9001 & TS 16949 by TUV. 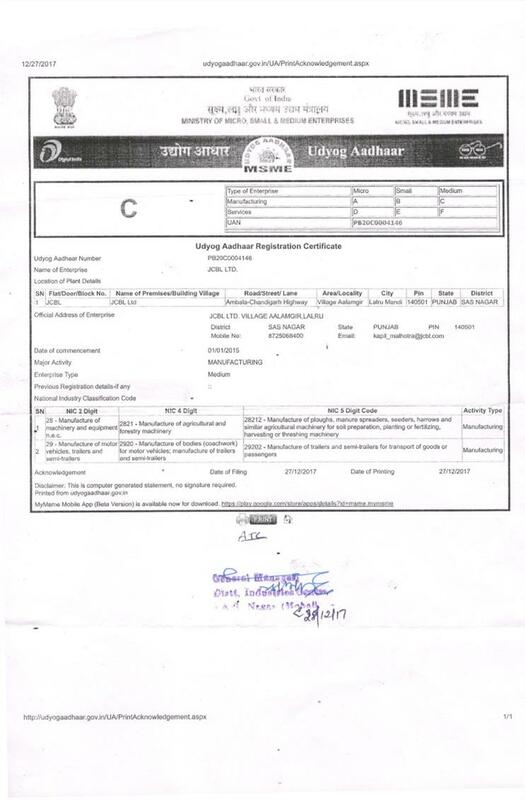 Our stringent quality standards and procedures are designed to ensure integrity, efficiency and above all safety throughout the entire design, manufacturing, assembling, testing and installation stages. 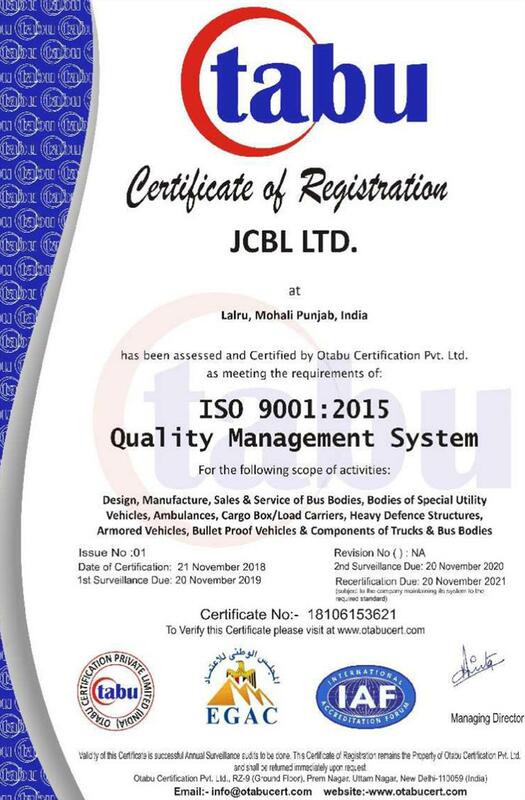 JCBL's philosophy resolves around for core values of passion, trust, transparency and quality. Together these guidelines serve as a compass, helping us set and maintain the right direction for our business. 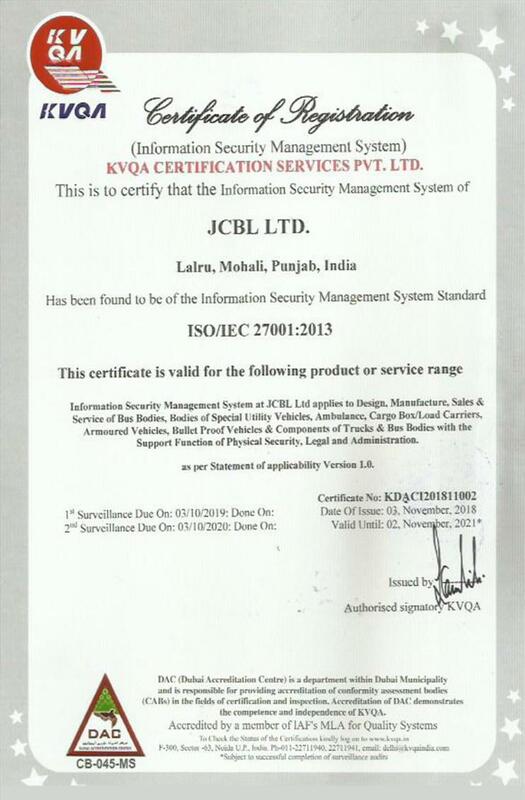 The value that JCBL bring goes far beyond its range of products. The group has taken a bold step into new territories ahead of its peers in organizing the bus body building business, bring latest technologies and more efficient products in the market. Backed by a comprehensive understanding of the whole vehicle development process from concept through to production, we give a lot of emphasis on new concept designs. Our strength is the ability to mix great looks with moderate cost.